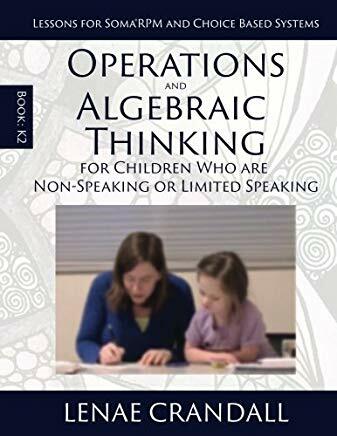 This book contains 26 Kindergarten math lesson in the area of Operations & Algebraic Thinking and Numbers & Operations in Base Ten, written for SomaâRPM and for students who use choices to respond. Therefore, this book is for non-speaking and limited speaking individuals, in need of instruction in Kindergarten math concepts. Common core standards were used to decide the concepts to teach. There are three types of lessons in this book: math, math concepts reviewed in stories, and motor lessons for math skills.